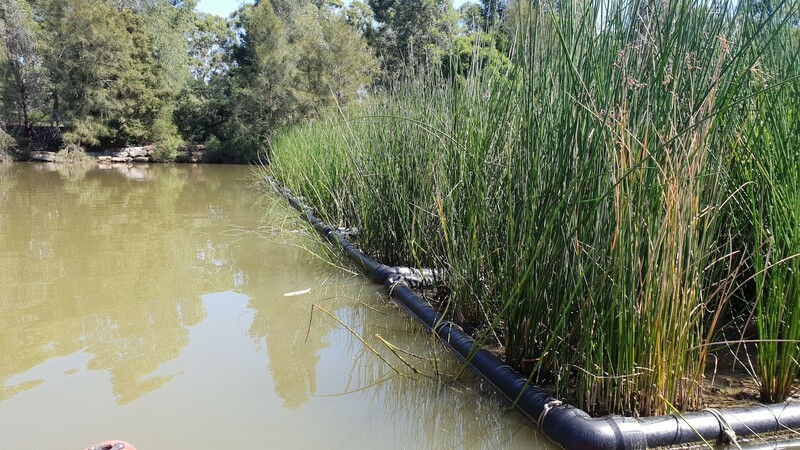 Our on-going project for Blacktown Council at Ropes Crossing continues to progress well. 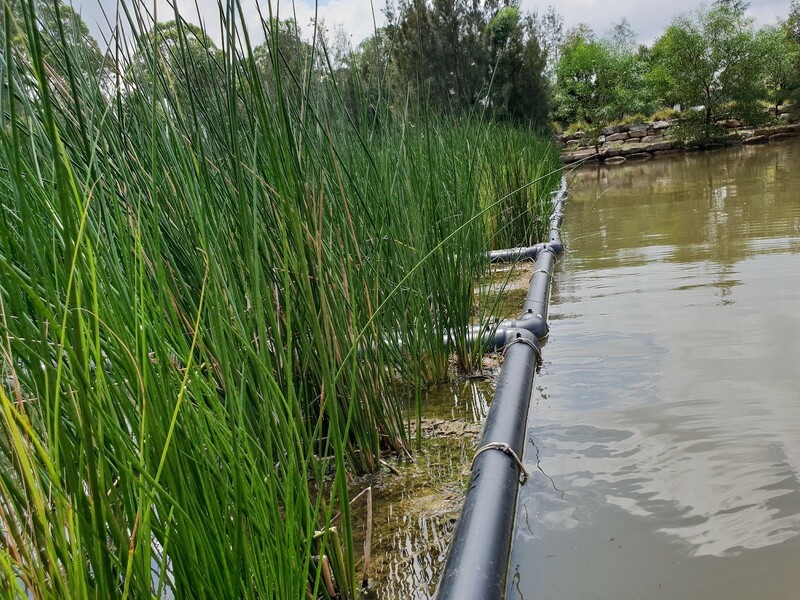 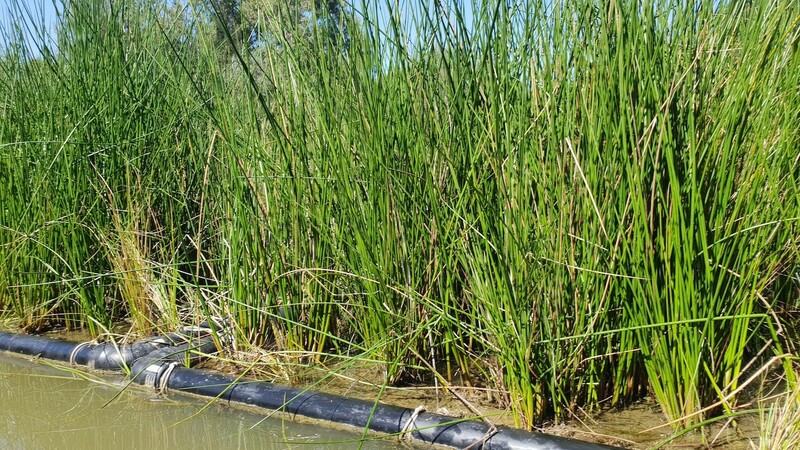 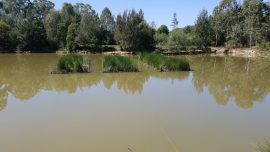 The aim of the project is to remediate the water quality in a stormwater pond which was being affected by sediment and nutrient runoff from the nearby developing urban catchment. 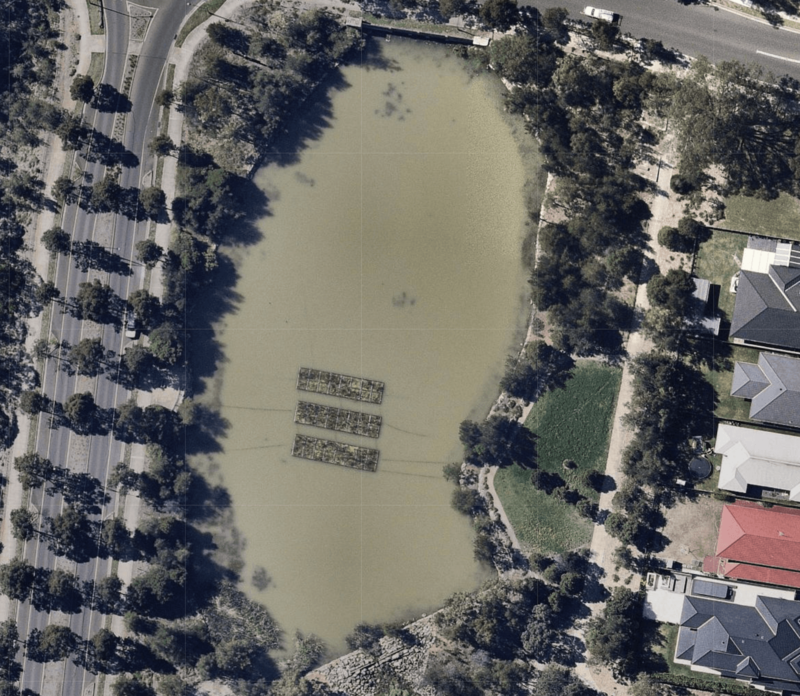 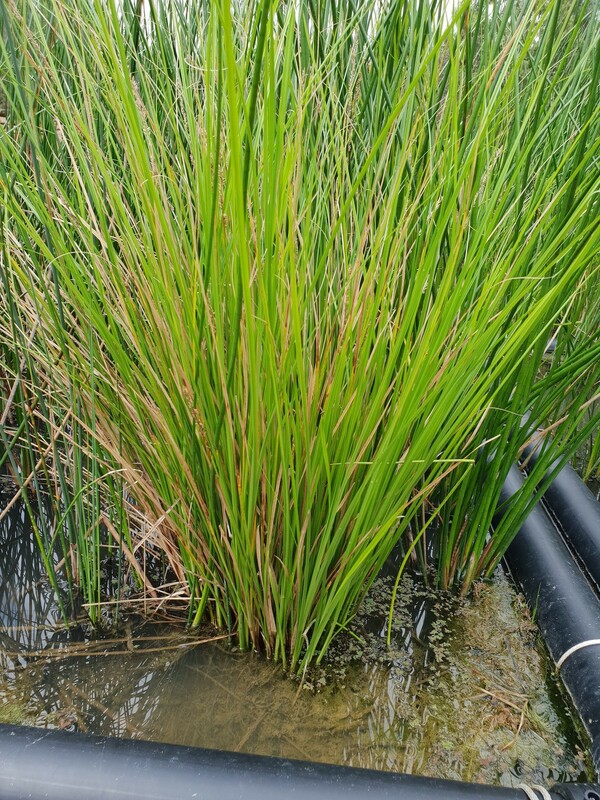 We previously installed three 56m2 rectangle floating wetlands parallel to one another, in order to intercept the stormwater flows to the pond. 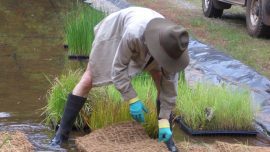 Our coir matts have done an amazing job encouraging the bacteria and microorganisms that are the basis of healthy water bodies. 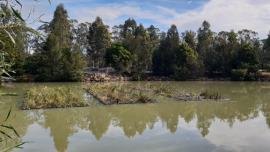 We visited the site on the 26th March 2019 to check on the project and perform some standard maintenance work The photos shows the typical plant growth for the first 10 months after installation following a Spring/Summer growing season. 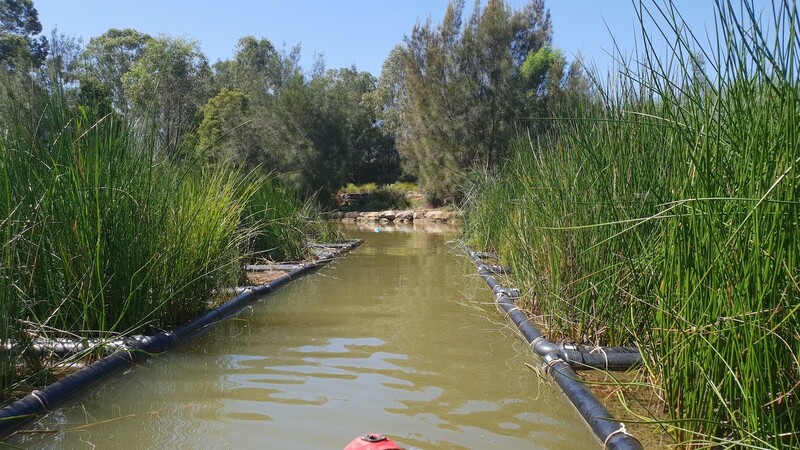 More information on our innovative floating wetlands service can be found here.